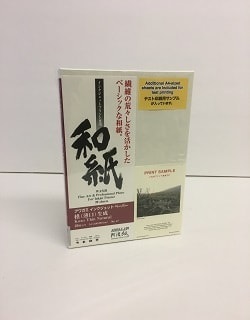 Awagami Inkjet Paper (AIJP) is a revolutionary washi (Japanese Paper) for high quality inkjet prints such as fine art prints, photography prints and for creating replicas from digial archives of important cultural heritage items and documents. Suitable for professional photographers, artists and designers. 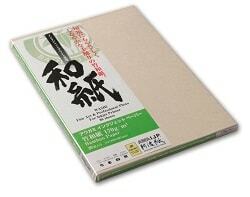 AIJP washi papers use fine organic Japanese papermaking fibres to ensure museum quality art and reproduction prints. The papers have been specially made (and coated) at Awagami specifically for inkjet printer use and each sheet faithfully retains the beautifully unique texture of traditional Japanese washi. 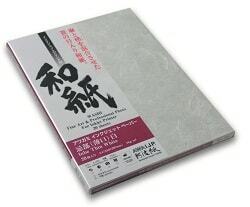 Created for clear, high resolution printings while keeping the feel of Japanese paper. Suitable for both dye and pigment inks. Supreme durability and storage stability by using the traditional WASHI making materials of Kozo, Mitsumata, Gampi and Bamboo. By not using wood based fibre, the AIJP range offers strong environmental credentials. Archival papers which are superb for preservation. 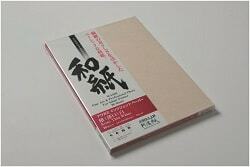 The handmade papers (Bizan and Shiramine postcard) have natural deckle edges. For printing text pages for fine and limited edition books and prestigous documents.